John Ely did not have a good night. He could not get out of the 3rd inning. 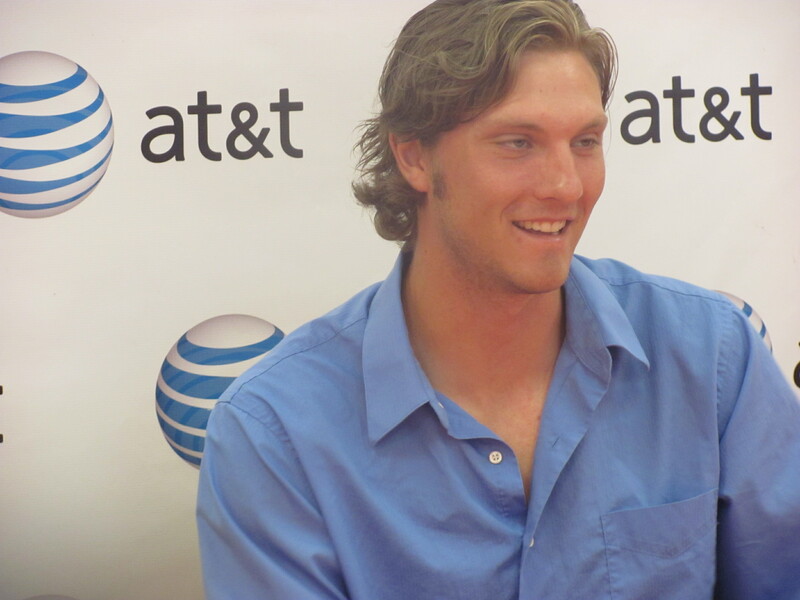 The good news was the bullpen. Jeff Weaver and Belisario pitched scoreless innings. The Dodgers made it close with Rafael Furcal extending his hitting streak by belting a two run homerun. Final score Marlins 6, Dodgers 5. I like this picture of father and son. 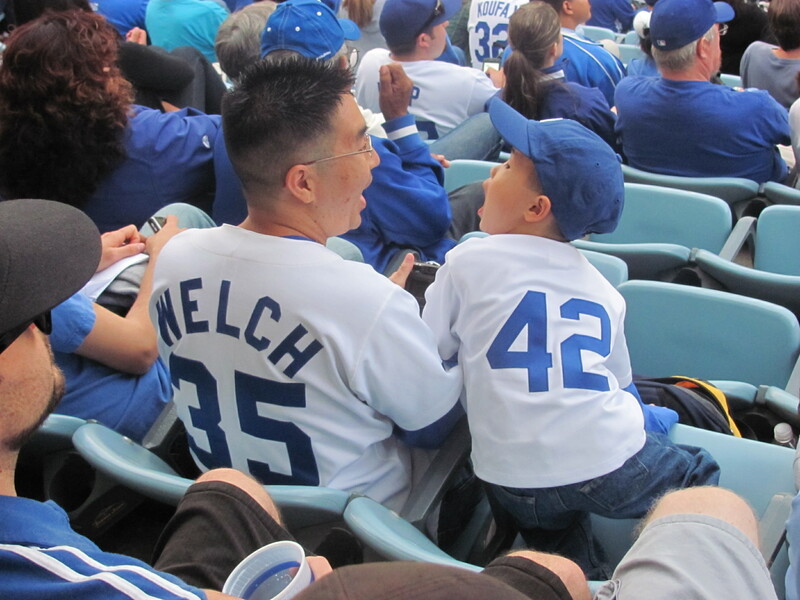 He is wearing a Bobby Welch jersey and the kid a Jackie Robinson. My friend James with his kids, wish his dad was sitting here too to get alll three generations. 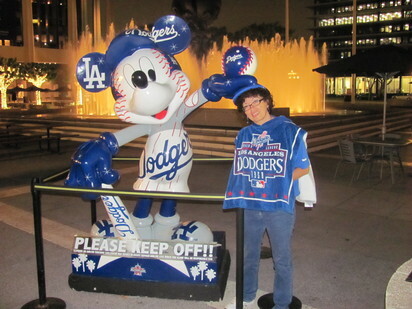 After the fireworks, Victor and I stopped at the Music Center to see the Dodger Mickey. i wanted Victor to see how beautiful it is. 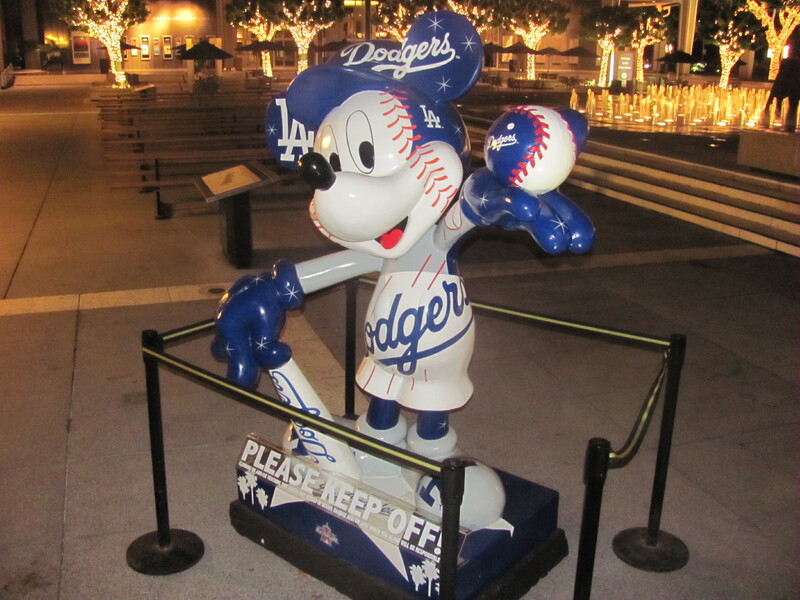 I love our Dodger Mickey Mouse! Is is beautiful! 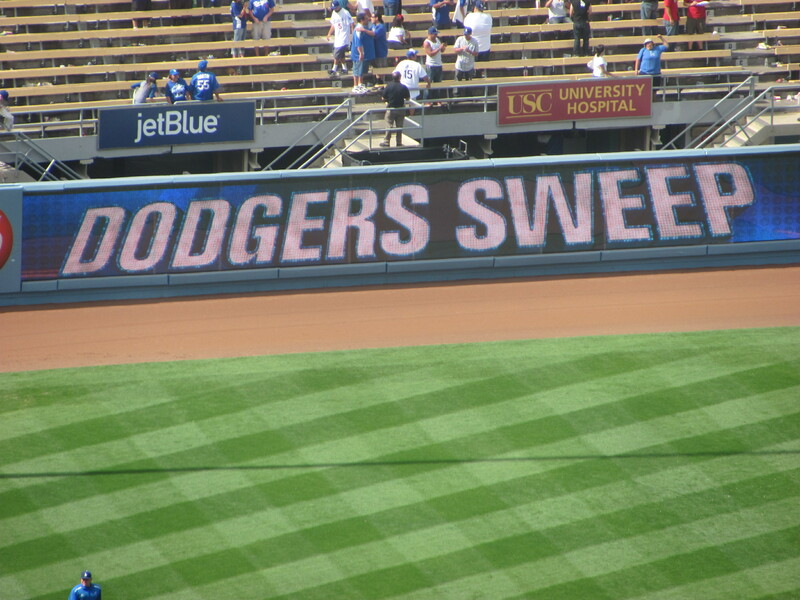 Dodgers Sweep: A Balk-Off, A Walk-Off HR and a Walk-Off Single. Even though the Dodgers swept Arizona, these wins could have gone either way. The Dodger pitching was there and timely hitting along with some help from the D’Backs. 5/31/10: The Balk-Off. Lopez piched well for the D’Backs but the defense let him down when Kelly Johnson committed two errors in one play that scored two runs. Then came the Balk from Vasquez causing the balk-off for the bearded one Casey Blake. Billingsley was lights out after the four homeruns he gave up in the first two innings. Final score: Dodgers 5, D’backs 4. 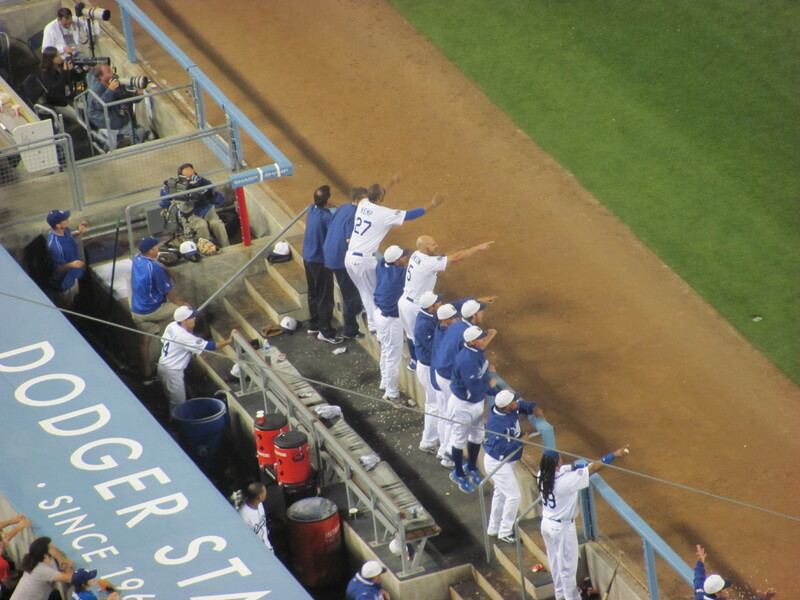 The guys in the dugout pointing out to the balk. 6/2/10. Ely vs. Haren. A great pitching dual that went 10 innings with Matt Kemp having his first walk-off! Jeff Weaver picked up the win and Gutierrez picked up the loss. Gutierrez is now 0-4. Gutierrez has allowed 10 homeruns in 18 1/3 innings. Final score: Dodgers 1, D’Backs 0. 6/3/10. A business special that started at noon. This one had ex-Dodger Edwin Jackson going against rule-5 Carlos Monasterios. It went 14 innings with rookie Travis Schlichting (I love the name!) pitching 4 scoreless innings and picking up the win! The kid also had his first MLB at bat. Valdez took the loss on a walk-off single by Garret Anderson. Final score: Dodgers 1, D’backs 0. So the D’Backs have gone 31 innings without scoring a run. They lost all nine games on the road and lost 10 straight now. Ouch! The D’Backs starters pitched well, the bullpen is another story. The red-hot Braves are in town for a four game series. Braves have won eight in a row, the Dodgers four in row. Remember April? These two teams were in last place with an identical record of 9-14. I feel so bad for Armando Galarraga but the guy was classy, he kept his cool. In our hearts you pitched a perfect game Armando! I don’t know what did Jim Joyce see in that play but he apologized to Armando. Countdown to trip to Fenway Park: 15 days! Woohoo! 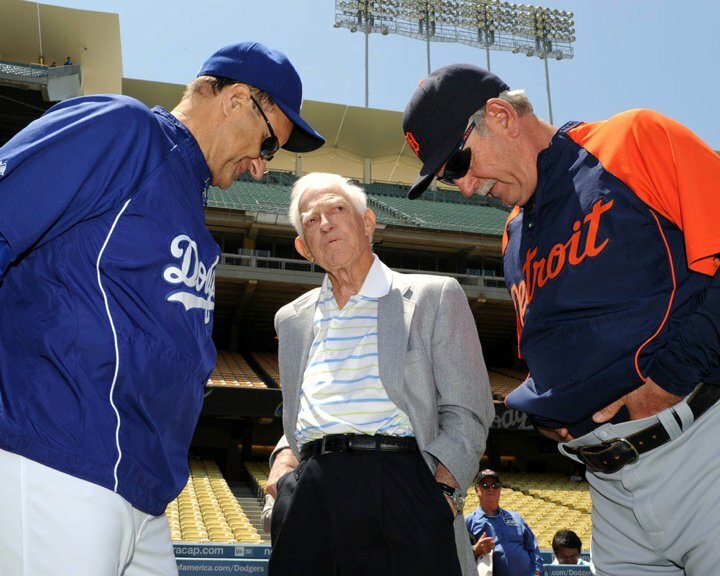 I don’t like inter-league games but I am glad to see the Tigers for a chance to see Sparky Anderson at the game! Here is a great picture of Joe Torre, Sparky Anderson and Leyland. pic from Jon Soohoo. Is too bad the game was part of the game of the week so no Vinny. Maybe Sparky will be back today Sunday when the Dodgers go for the sweep! 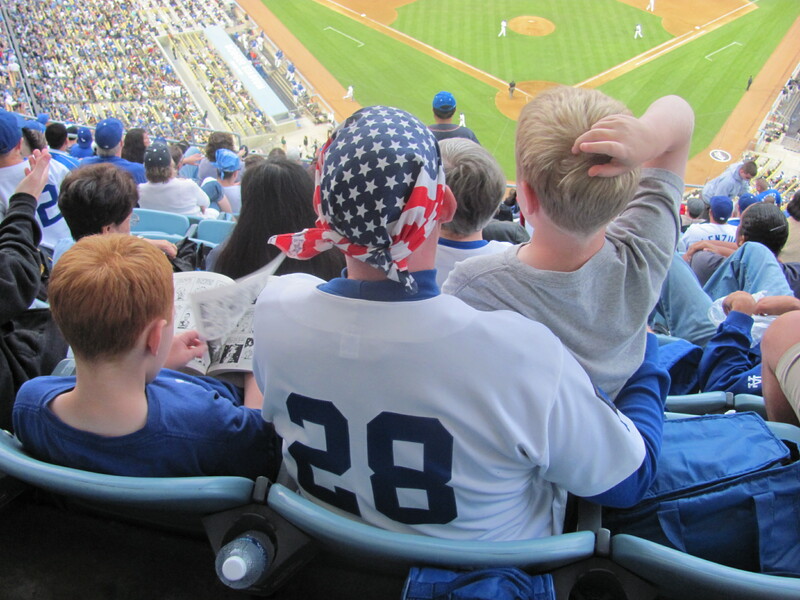 You all remember my little broom (size of a pencil_no brooms allowed at Dodger Stadium) that I took to San Diego? 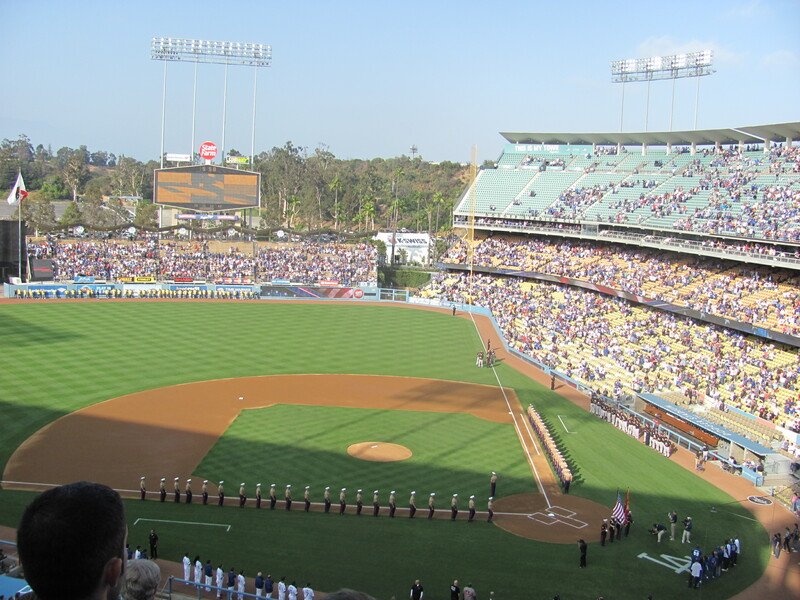 Well I am taking to Dodger Stadium today. 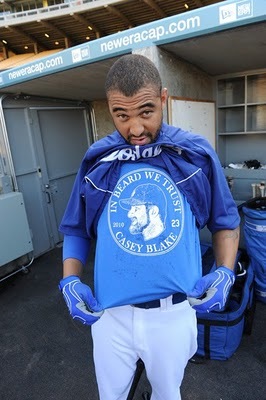 Fear the Beard Case Blake had a homerun and so did Matt Kemp. 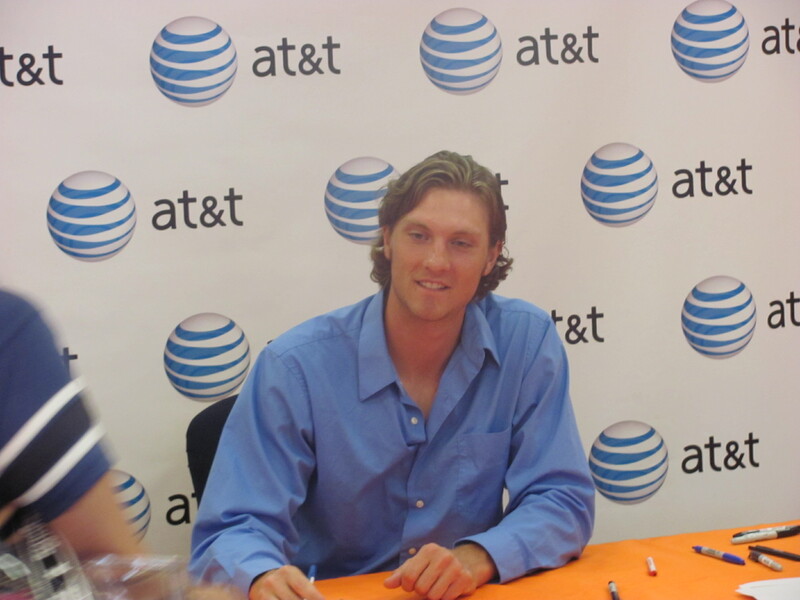 Matt had not hit one out since Ned Colletti’s rant to the media. Saturday it was Taiwan Day in the “This is My Town” section so it was nice that Hong-Chih Kuo and Fu Te Ni got in the game. The promotion includes Taiwanese food and a t-shirt. The night before it was “Star Wars Day” and it was fun seeing all the characters of Star Wars. Here is a picture of the section with Taiwanese fans going bonkers seeing Kuo on the mound. 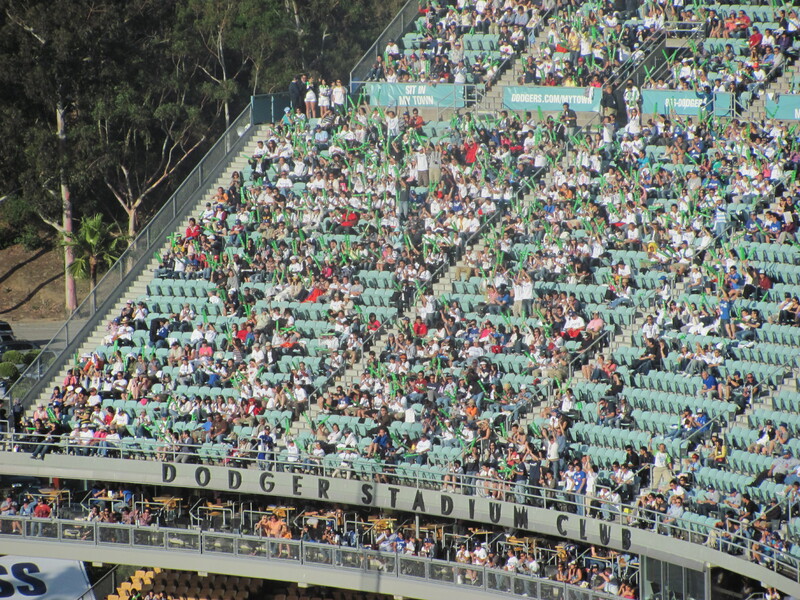 Notice the Dodger Stadium Club below which now has outside seating. In his last four games, he had not given up a walk until Saturday. This kid is not afraid to go after the hitters. He had a shaky first inning Saturday but he settled just fine after that. I wonder why the White Sox included him in the trade with Juan Pierre. 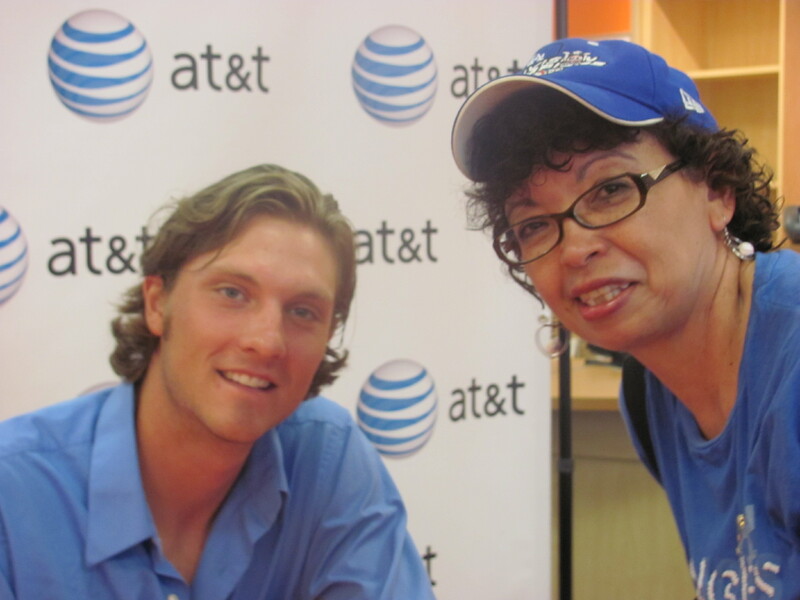 Oh and he is also in MLBblog Baseball fantasy team. 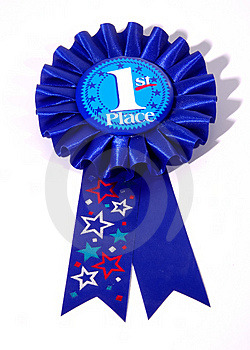 So another win for the Dodgers and another win for the Locos Azules. Going for the sweeep today! Note: I picked up Edwin Encarnacion after he came back from the DL and he has hit 5 homeruns for me since May 18! WOW! I forgot who dropped him. Walter O’Malley had a tradition of treating his staff to ice cream at 2:00 P.M. every day that the Dodgers were in first place. 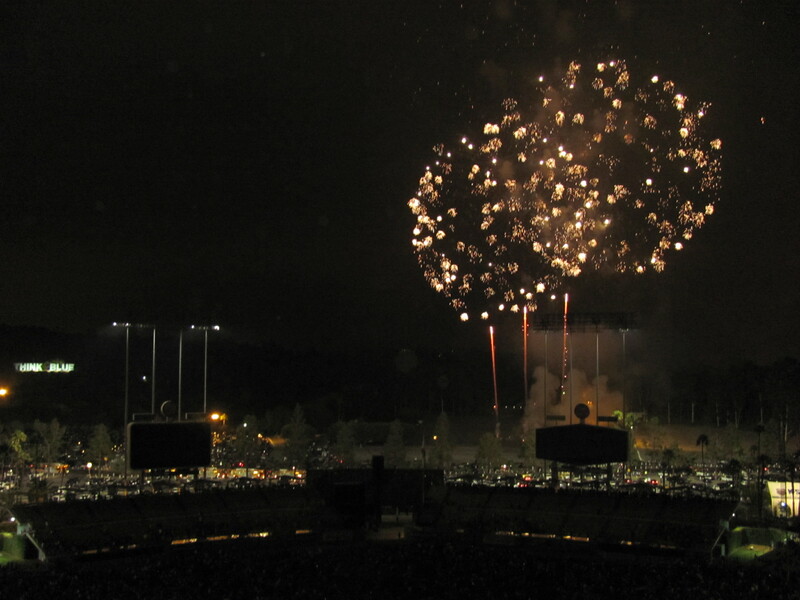 This tradition is still carried over to this day at Dodger Stadium. Rest in Peace Jose Lima. Sad news of Jose Lima, 37 passing away of a heart attack. I just saw him Friday night at Dodger Stadium. He had started a baseball school here in the LA area. We will never forget “LIMA TIME” Rest in peace Lima. 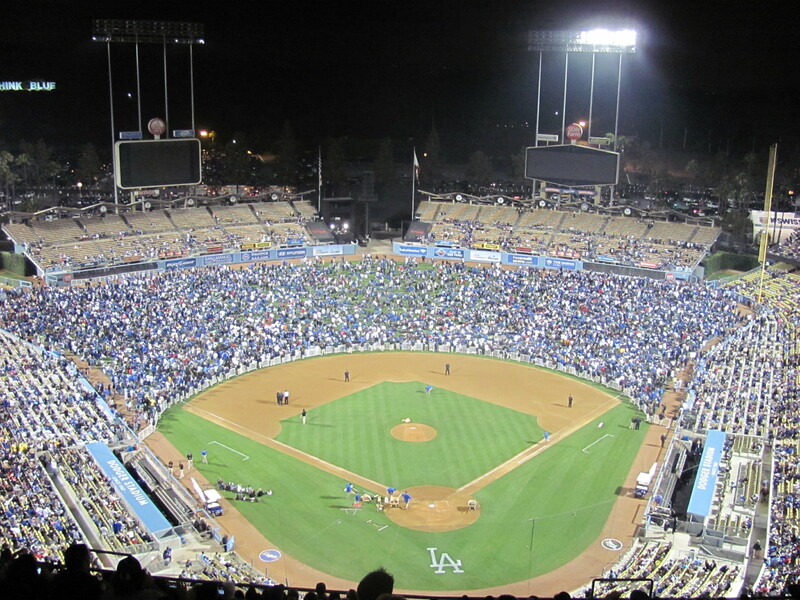 My latest Rant at Dodger Stadium. 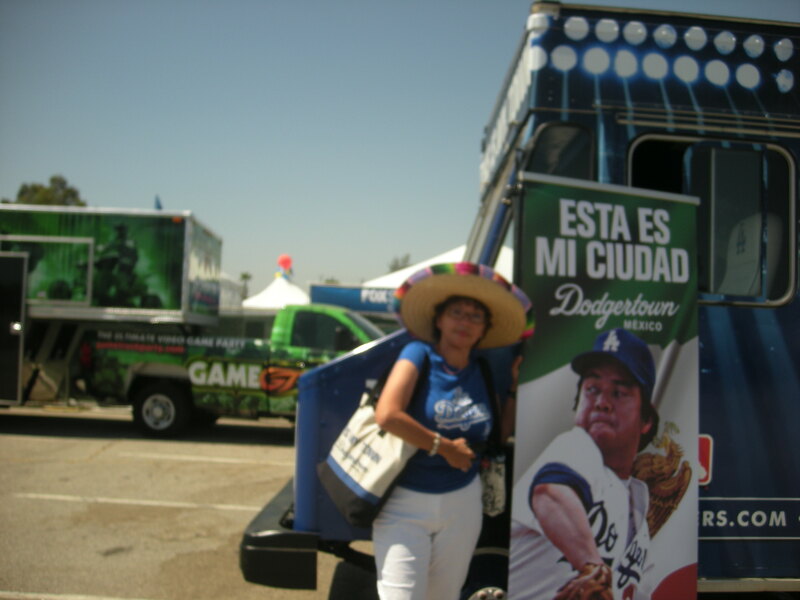 This the hat that i wore for the past couple of years to Viva Los Dodgers and for Cinco de Mayo celebrations. 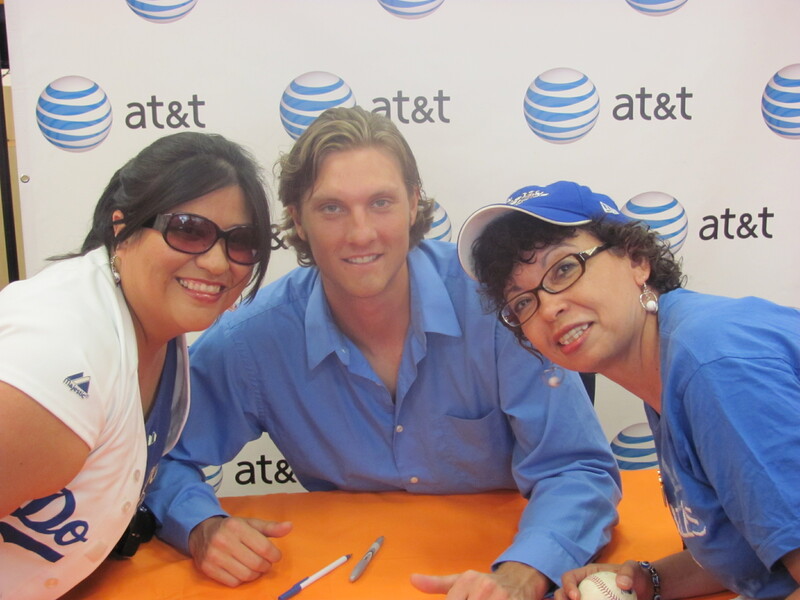 This picture is from last year’s Viva Los Dodgers event. Last night I was told I could not enter the stadium with the hat. I said they should have made an announcement that the rules have been changed. A lot of people take the shuttle to the stadium so they don’t have a car close by. Since I was there early for BP and had entered thru the field level, I asked if there was a way that I or they could take it upstairs to the Top Deck security since it was easier to exit there after the game. They said no. Another thing is, they do not let fans come down to the field level. You have to walk outside and then go around to come back to the field level. 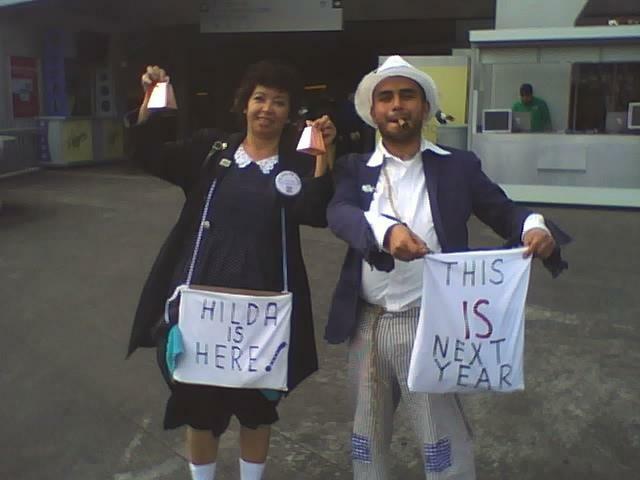 I was going to post the pictures of the fans I saw with sombreros but I don’t have the camera cable with me right now. 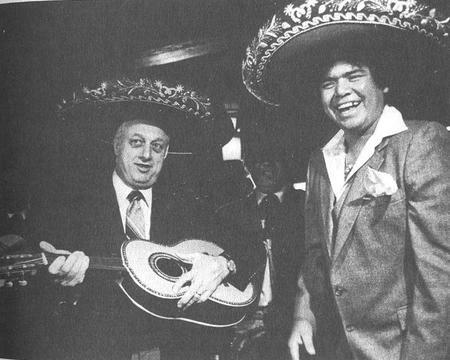 But look, even Tommy used to wear a sombrero back in the old days. Here he is with Fernando. nice picture ha? I wanted to go talk to someone from the Fan Services, so I went to where they always have been, club level close to the escalator. I was told it was moved to the other side of the club level, the right field side level by the club level restaurant. so I walked there and was told no, but that they have them at every level this year. and walked to the Left field side (I was told aisle 39). No-one there on that window. By this time I was already tired and hungry so up I went to my Top Deck seat to eat and prepare my scorebook to watch the game. 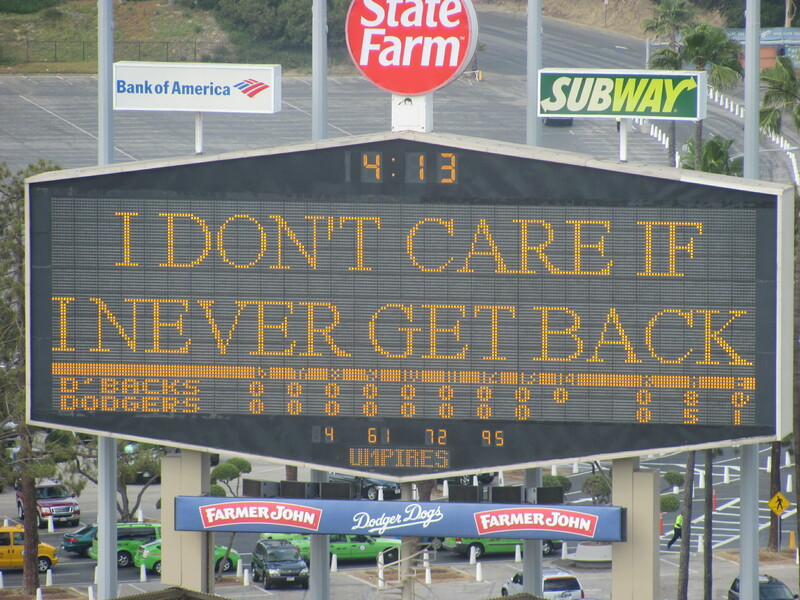 Worst part of the last two days: The Dodgers have given up 22 RUNS! 22 RUNS! This was wtih Kershaw on the mound on Tuesday and Billingsley on Wednesday. Can anyone besides Kuroda pitch for this team???? It could be Ely’s last start for some time with reliever Jeff Weaver expected to return from the disabled list before Friday’s game against the Rockies.